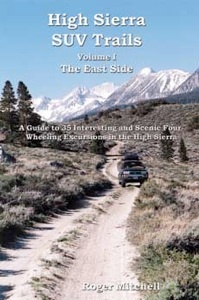 High Sierra SUV Trails, Volume I – The East Side is an unusual guidebook describing 35 backcountry excursions along the eastern escarpment of the Sierra Nevada Range. 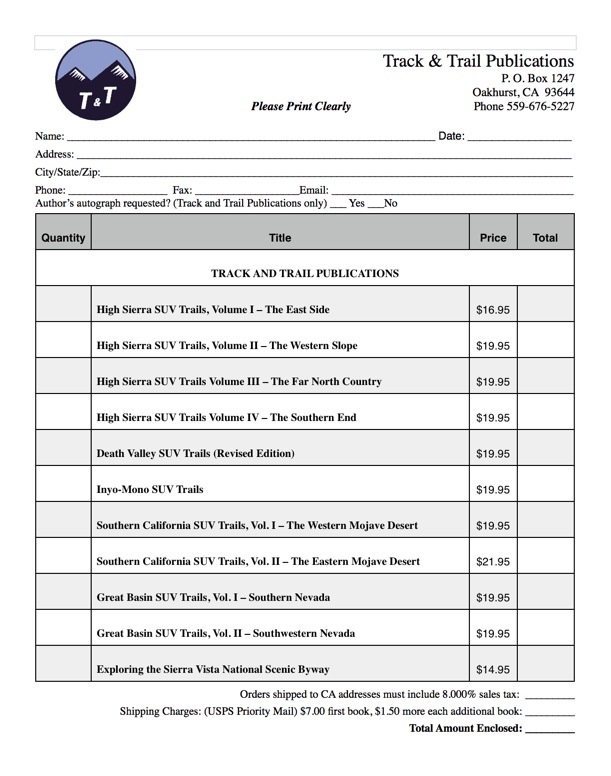 These rough road adventures will take the reader on trails out of Reno, Truckee, Markleeville, Bridgeport, Lee Vining, Mammoth Lakes, Big Pine, Independence, and Lone Pine. Roger Mitchell describes in great detail what you are likely to see along these back roads and jeep trails including flora, fauna, geology, history, and mining. This 238-page book contains a map of every backroad described and the text is supplemented with both historic and modern day photos. Included is a trail rating system so the reader will know how difficult a road is before embarking on it. The routes described range from very easy to very difficult. This book has something of interest for everyone.